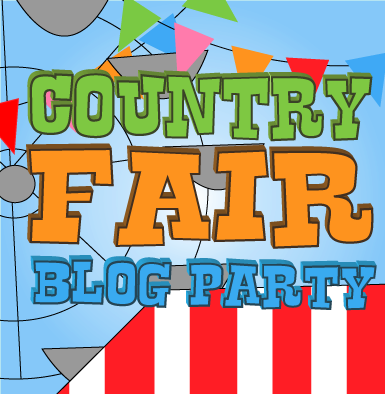 I am excited to be a new co-host of the Country Fair Blog Party this year! This blog hop is a great opportunity to check out new blogs, and if you blog yourself, have your posts reach a new audience. In January, the Country Fair Blog Party theme is Holiday Treasure Hunt. From posts about gifts, special moments and family traditions from Christmas and New Year, to recipes and crafts for the upcoming Valentine's Day holiday or simply the Winter season, we'd like to see your posts! Bloggers, feel free to link up to 3 posts this month and be sure to visit some other party goers and let them know you are stopping by through the Country Fair Blog Party.